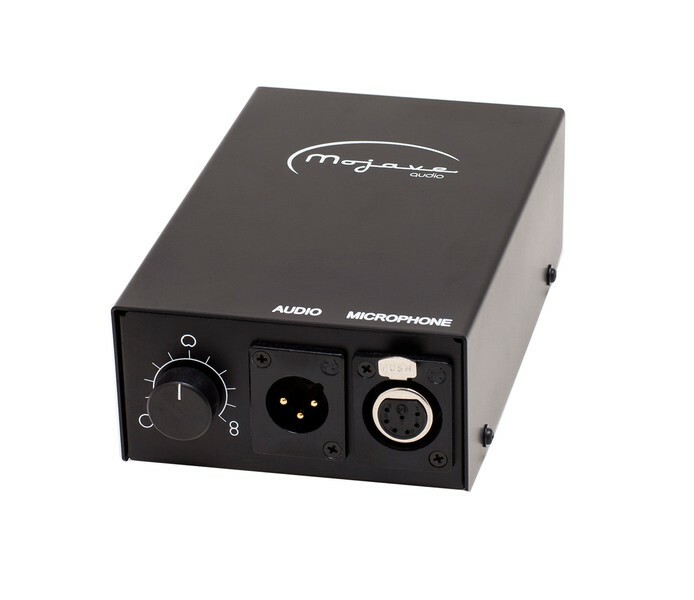 The MA-300 is a multi-pattern large diaphragm, vacuum tube condenser microphone. Based upon the widely accepted MA-200 designed by David Royer, the MA-300 adds a continuously variable pickup pattern selector, 15dB pad and a switchable bass roll-off. The MA-300 gives warm, full-bodied reproductions of vocals and instruments, with none of the shrillness and high frequency distortion artifacts that are often encountered with modern condenser microphones. Utilizing hand-selected, double diaphragm 3-micron capsules, high-quality Jensen audio transformers and military-grade JAN 5840 vacuum tubes, the MA-300 performs at a level reminiscent of some of the best loved classic condenser microphones. 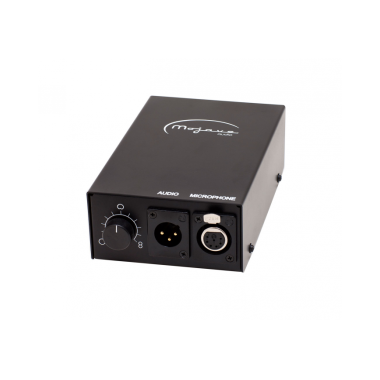 The MA-300 power supply can be set for 115V and 230V, 50 or 60 Hz, through an internal switch (100V is also available). Each MA-300 microphone, power supply and cable set is burned in for 24 hours, carefully tested and evaluated, then packaged in its protective case-within-a-case. Maximum SPL: 120 dB, 135 dB with pad on. 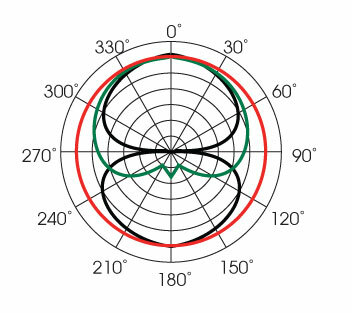 Bass Cut: 6 dB per octave below 100 hertz.